POORNAWAD ACTIVITIES. - welcome to the MAURITIUS POORNAWAD HOMEPAGE..
POORNAWAD TEMPLES AND REGULAR ACTIVITIES OF POORNAWAD PARIWAR. DAILY ACTIVITIES OF TRIOLET POORNAWAD PARIWAR. the time are in mauritian time. POORNAWAD YUVA FORUM educational Activity every SUNDAY. MONTHLY MAHA SATSUNG and MAHA PRASAD on every 1st THURSDAY OF THE EACH MONTH. 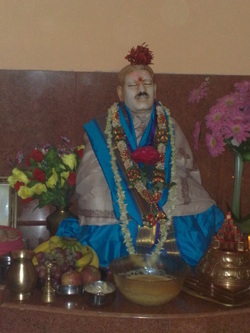 POORNAWAD SAI RAM MANDIR, MT ORY. Pa.Pu. 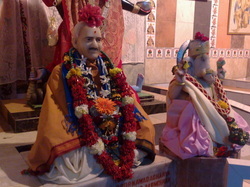 shree Ramchandra maharaj ji in meditation. POORNAWAD SAI RAM MANDIR, MONT ORY- MAURITIUS. 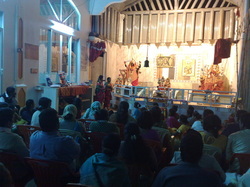 BHAJAN KIRTAN every SANKASHTA CHATURTHI. SAI RAM MANDIR - MONT ORY.